Tackling Behaviour in the Primary School provides ready-made advice and support for classroom professionals and can be used, read and adapted to suit the busy everyday lives of teachers working in primary schools today. Working effectively and supportively with parents. Drawing on case-studies throughout, this handbook will help you to understand and deal with the most confrontational of classroom behaviour. 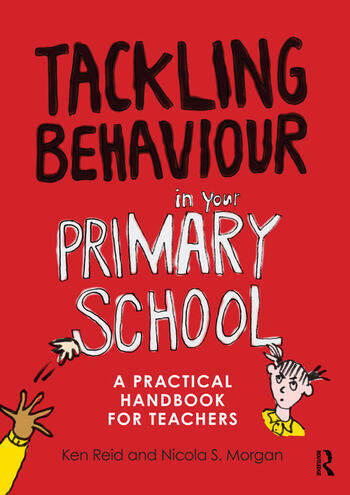 Tackling Behaviour in the Primary School provides all staff, parents and carers engaged in health, education and social services with a ready-made resource packed full of strategies, ideas, activities and solutions to help manage behaviour in even the toughest of classrooms. Ken Reid (OBE) is presently the Adviser to the Welsh Government on Behaviour and Attendance. He was formerly the Deputy Vice Chancellor and Research Professor at Swansea Metropolitan University. Nicola S. Morgan is qualified teacher and behaviour management consultant.